Proudly made in the USA (Rhode Island to be specific). Hand sewn, pressed and finished with care. Our home state of Texas! Made from high-tensile strength nylon webbing with sewn on polyester/nylon ribbons. 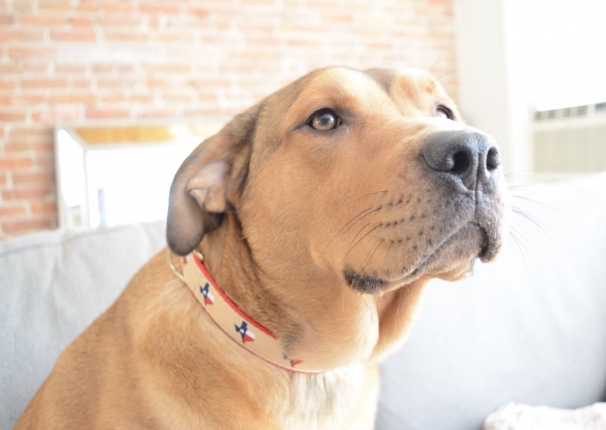 The ribbons are stain and fray resistant; and designed to last a lifetime. 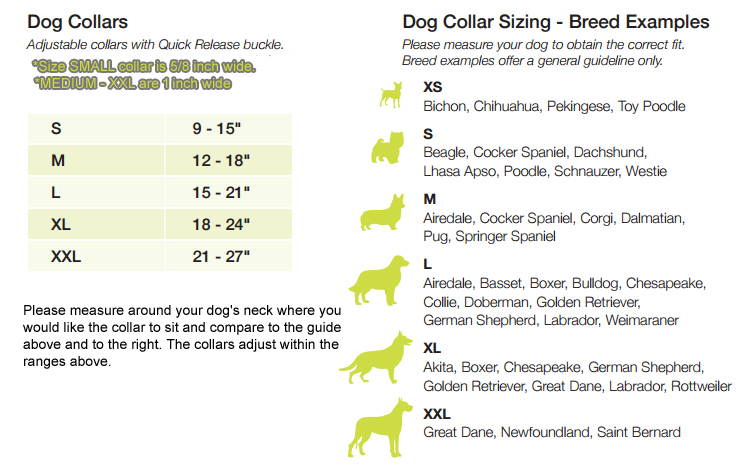 All collar and lead hardware is cast, not welded brass for extra strength and great for fresh or salt water environments. 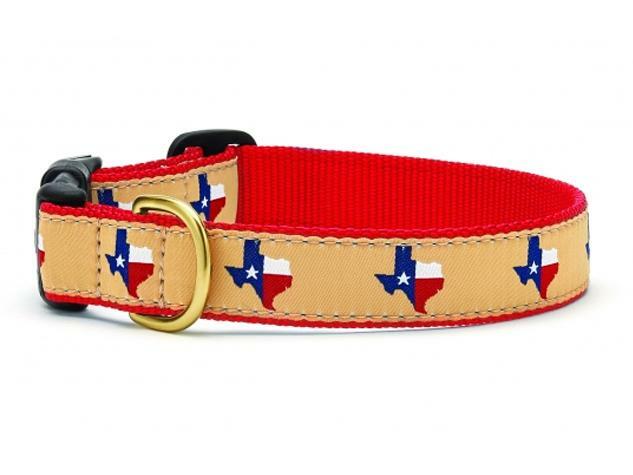 This American made Texas dog collar is Coast Guard approved for high weight hold.